Bayesian Inference provides a framework to deal with all sorts of uncertainties that form data using machine learning models and utilize it for predicting future observations. However, learning and implementing Bayesian models is a complicated task due to the level of mathematical treatment involved but with the advancement, it has become feasible to use for practical applications. A Bayesian network is a probabilistic graphical model representing a set of random variables and their conditional dependencies through directed acyclic graph (DAG). DAG's nodes represent random variables and edges represent conditional dependencies. Bayesian ideas have had a big impact because of the flexibility they provide in building structured models of real world phenomena. R is a language and environment for statistical computing and graphics. R provides a wide variety of statistical and graphical techniques which is highly extensible. The Book will provide you to set up the R environment and the basics of Probability Theory to analyze random events. It will get you acquainted with the use of Bayesian networks to infer the probability distribution of decision using Bayesian Linear Regression approach. 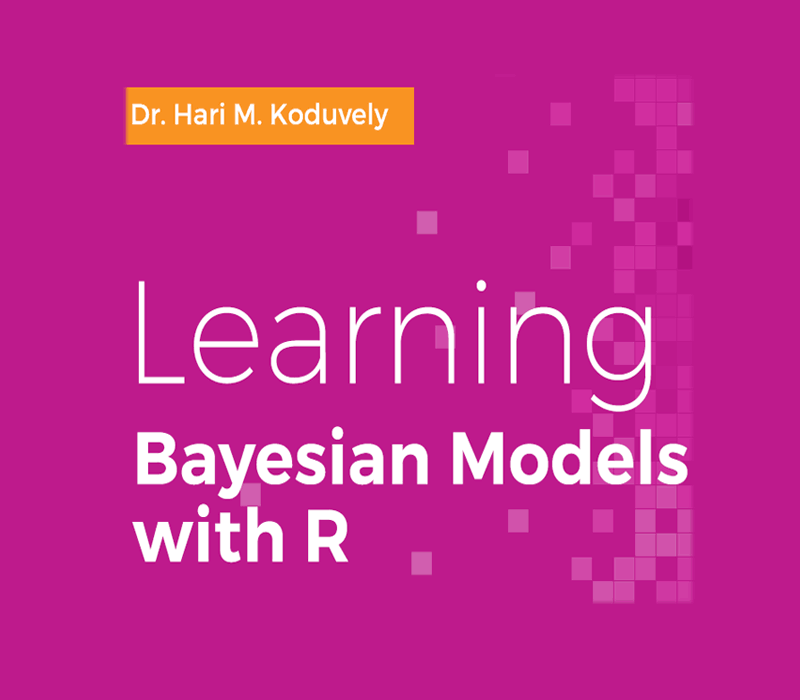 The book also covers some of the important machine learning methods, both supervised and unsupervised learning, implemented using Bayesian Inference and R. It also includes the performance of Bayesian Inference on massively large data sets through the MapReduce programs in R and Cloud computing. Every chapter begins with a description of the method explained in a simple manner and ends with some exercises to assess the concepts. The book concludes with the application of Bayesian methods on Big Data using the Hadoop and Spark frameworks.